Squirrels appear to enjoy digging. Tree squirrels descend from treetops to bury nuts. Ground squirrels dig to assure the presence of trees and to design cozy burrows underground. •	An intelligent face with alert ears, big eyes, inquisitive nostrils, and prominent teeth. Human acquaintances typically adopt one of two attitudes. • At one extreme, wildlife-lovers appreciate the athletic mammal’s environmentalism, friendliness, and industriousness. • At the other extreme, city and country dwellers articulate intolerance of the attractive rodent’s chewing wood, digging holes, entering attics and garages, and finagling seed from bird feeders. Contrasting opinions assume their greatest divergence over hole-digging. • For environmentalists, squirrel-dug holes contribute to soil aeration and tree regeneration. • For farmers and gardeners, the same hollows and mounds endanger crop and plant growth and human perambulation. Ground squirrels particularly are disdained by cultivators of farms, gardens, and lawns. They excavate holes for caching food and tunnels for living underground. They therefore heave ground into depressions and mounds which rival those of moles and voles in their power to aggravate and infuriate cultivators. Yet this very behavior inspired amateur naturalist Spencer Fullerton Baird’s (February 3, 1823 - August 19, 1887) interest in a dealer-peddled specimen. The fifteen-year-old Pennsylvanian -- subsequently the Smithsonian Institution’s first curator, in 1850 -- offered the well-preserved carcass to Jean-Jacques Audubon (April 26, 1785 – January 27, 1851). 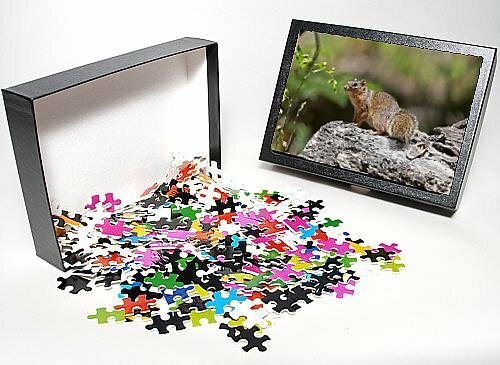 The world’s premier bird observer and painter opined that the ground-dweller originated in the western prairies as the “missing link” between marmots and tree squirrels. American naturalist, ornithologist, ichthyologist, and herpetologist Spencer Fullerton Baird (February 3, 1823 - August 19, 1887) became Smithsonian Institution's first curator in 1850. Tree-based flying and tree squirrels in the respective Pteromyini and Sciurini tribes. They named it annulated marmot squirrel (Spermophilus annulatus). Scientific nomenclature accedes to inquiring minds, scientific breakthroughs, and technological advances. Categories based upon appearance and habitat currently answer to phylogenetic analyses of molecules and morphology. Scientists nowadays appreciate finely differentiated relationships between -- and structures within -- organisms because of sub-cellular investigations. Ground squirrels are among the beneficiaries of research into mitochondria, the cellular sub-units that change specialized chemical energy from food into generalized energy -- adenosine triphosphate (ATP) -- for cells. Analysis of cytochrome b’s role in respiratory complex III’s generating ATP indeed contributes to Mammals Department Curator Kristofer M. Helgen and fellow Smithsonian National Museum of Natural History scientists -- F. Russell Cole, Lauren E. Helgen, and Don E. Wilson -- re-organizing the Spermophilus genus. Cytochrome b: main subunit of cytochrome bc1 (also known as Complex III), transmembrane protein present in mitochondria of all animals. Analysis of cytochrome b's role in cellular generalized energy process has been critical to transfer of ring-tailed ground squirrels in Notocitellus genus. N.a. goldmani in Santiago and Tepic, Nayarit. N.a. infernatus in an area 8.5-8.75 miles (13.68-14.08 kilometers) south of El Infiernillo. All species and subspecies appear grizzled black and tan because of darkly- and palely-flecked fur. The individual hairs are coarse-looking but marmot-like in their softness. The coat becomes brighter during the dry-season breeding months of December through June. The body conveys slenderness while the 15-ringed, tree squirrel-like tail expresses length. The mature head-and-body and tail lengths respectively hover around 11.3 - 18.75 inches (28.7 - 47.6 centimeters) and 5.0 - 9.37 inches (12.7 - 23.8 centimeters). The female -- who is larger-skulled than the male -- imitates marmots in possessing three sets of mammary glands despite all other ground squirrels typically having four to six pairs. One set is at the front limbs’ juncture with the body. Two sets locate at the rear limbs’ union with the posterior. Nuts and seeds, especially calabash (Crescentia alata) and mesquite (Prosopis spp). Pantries of stored food, to which residents retire if above-ground supplies are scarce or when the morning or midday sun is too hot. The rooms have grass-lined ceilings, floors, and walls. They house the changing family of parents and progeny. Males may be short-lived since they disperse soon after weaning at one-to-two months. Females remain in their birth-ranges. Thorn-riddled trunks of catclaw (Senegalis greggii) and mesquite. Roots of calabash, mesquite and plum trees. Retreat to their area’s arid plateaus. Thirty-nine (39) years distance scientific knowledge of the first-known peddled specimen of the ring-tailed ground squirrel in 1838 from the second-known in 1877. One-hundred-fifty-eight (158) years divide the depiction of the ring-tail in The Quadrupeds of North America of 1851 and the re-organization of temperate ecozone-dwelling ground squirrels in “Generic Revision in the Holarctic Ground Squirrel Genus Spermophilus” of 2009. The reclusiveness of the sciurid’s behavior and the remoteness of their natural habitats -- within territory just 35 miles (156.33 kilometers) wide by 200 miles (321.87 kilometers) long -- discourage interactions. But the steady expansion of farms, ranches, and vacation homes into the semi-arboreal, semi-terrestrial’s isolated ranges does result in leaps in familiarity unknown to 19th- and 20th-century time-dwellers. Devouring field corn and sorghum, garden beans, and orchard fruits, to maintain healthy diets. Domestication and protection promise these obligate seed-dispersers sustainability. Domesticators and scientists nevertheless will need flashlights when night-strolling through ground squirrel-burrowed grounds! Colima's iconic palm groves are favorite habitats for ring-tailed ground squirrels. C.L. Bachman, John Bachman The Pastor of St. John's Lutheran Church Charleston (1888), frontispiece. Álvarez-Castañeda S.T. ; Castro-Arellano I.; Lacher, T.; Vázquez, E. (2008). Spermophilus annulatus. In: IUCN 2008. IUCN Red List of Threatened Species. Retrieved on January 31, 2014. Audubon J.J.; Bachman J. (1842). "Spermophilus annulatus." Journal of the Academy of Natural Sciences of Philadelphia 8:319. Audubon J.J.; Bachman J. (1851). The Quadrupeds of North America. Vol. II. New York: V.G. Audubon, MDCCCLI. Retrieved on January 31, 2014. Bachman, Catherine L. John Bachman, The Pastor of St. John's Lutheran Church, Charleston. Charleston, SC: Walker, Evans & Cogswell,1888. Bisby F.A. ; Roskov Y.R. ; Orrell T.M. ; Nicolson D.; Paglinawan L.E. ; Bailly N.; Kirk P.M.; Bourgoin T.; Baillargeon G.; Ouvrard D. (red.) (2011). Species 2000 & ITIS Catalogue of Life: 2011 Annual Checklist. Species 2000: Reading, UK. Retrieved on January 31, 2014.
de Grammont P.C. ; Cuarón, A. (2008). "Spermophilus adocetus." In: IUCN 2008. IUCN Red List of Threatened Species. Version 3.1. Retrieved on January 31, 2014. Herron M.D. ; Castoe T.A. ; Parkinson C.L. (2004). "Sciurid Phylogeny and the Paraphyly of Holarctic Ground Squirrels (Spermophilus)." Molecular Phylogenetics and Evolution 31(3):1015-1030. Howell, Arthur H. Revision of the North American Ground Squirrels with a Classification of the North American Sciuridae. North American Fauna No. 56. Washington DC: U.S.D.A. Bureau of Biological Survey, April 1938. Merriam C.H. (1903). Proceedings of the Biological Society of Washington 16:79. Mott S. "Spermophilus annulatus: ring-tailed ground squirrel (On-line)." Animal Diversity Web. University of Michigan Museum of Zoology. Retrieved on January 31, 2014. Murie J.; Michener G. (1984). The Biology of Ground-Dwelling Squirrels. University of Nebraska Press. "Notocitellus adocetus: Tropical Ground Squirrel." Smithsonian National Museum of Natural History: North American Mammals. Retrieved on January 31, 2014. 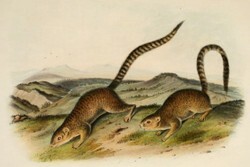 "Notocitellus adocetus adocetus (Merriam, 1903)." ITIS Report. Integrated Taxonomic Information System. Retrieved on January 31, 2014. "Notocitellus annulatus: Ring-tailed Ground Squirrel." Smithsonian National Museum of Natural History: North American Mammals. Retrieved on January 31, 2014. "Notocitellus annulatus annulatus (Audubon and Bachman, 1842)." ITIS Report. Integrated Taxonomic Information System. Retrieved on January 31, 2014. Nowak R. (1991). Walker's Mammals of the World. Johns Hopkins University Press. Thorington R.W. Jr.; Hoffman R.S. (2005). "Family Sciuridae." In: Wilson D.E. ; Reeder D.M. (Eds.). Mammal Species of the World: A Taxonomic and Geographic Reference, third edition. Johns Hopkins University Press. Thorington T.W. Jr.; Koprowski J.L. ; Steele M.A. ; Whatton J.F. (2012). Squirrels of the World. Johns Hopkins University Press. Wilson D.; Ruff S. (1999). The Smithsonian Book of North American Mammals. Smithsonian Institution Press. caption: "Smile ... It's good for the environment." Kathleen Duffy, Squirrels are fun to watch. It's wonderful that the grey squirrels are living a "great life" in your area. They can't help digging up bulbs, though, and I love coming across their hidden nut treasures when I re-landscape the garden and yard. 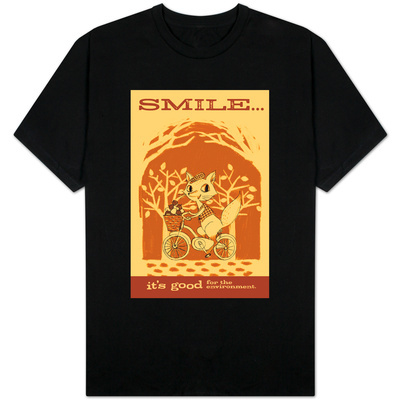 Your interactions with squirrels, now and back then, are charming. It always feels like a special accomplishment, a winsome level of rapport, for wildlife to eat out of our hands. It such a statement of trust. What a fascinating article! I love watching the squirrels in the communal garden where I live. Even though they dig up the bulbs when planting their nuts. They are grey squirrels. They have a great life as our garden is an oasis of calm in the busy city. They overtook the red squirrels which, I believe, are now mainly found in the north. When I lived in Canada we used to have our breakfast by the window and the red urban squirrels would feed out of our hands. thank you for such a detailed article. The White Nosed Coati (Nasua narica) is a ring-tailed mammal native to the New World from southwestern United States southward into northern South America. As with its relative, the Ring-Tailed Cat (Bassariscus astutus), cacomistle is a New World native. Forest-loving cacomistles are sensitive to effects of deforestation.